And obviously, it lasts a good impression on your listeners. सबसे पहले जानते हैं Idioms का अर्थ क्या है? IDIOM: A group of words that instead of a literal meaning, has a figurative one. KICK THE BUCKET= Idiom used for someone who dies. • He kicked the bucket last night ⇒ He died last night. Now, there are so many idioms and you possibly can’t learn them in one go. Here I have a list of idioms that are inspired by the color BLACK. Read on to learn. • Many Indian villages are still situated at the back of the black stump and do not have even the basic life facilities. • After the big short circuit last night, the city was blacked out for 5 hours. • He blacked out because of the harsh sunlight. • After she went to the jail, Jane became the black sheep of the family. • Due to her unethicalbehaviour, she was blackballed by everyone in the office. • There is nothing as black and white in this world as it seems to be. • I have to buy a new tuxedo as my boss’ retirement party is going to be a black-tie affair. • Yesterday was a ‘Black Friday’ for our company as we recorded the lowest sales in last ten years. • Harry became extremely rich after he found the black gold in Dubai. it’s used in a situation when someone accuses another person of something he has done himself. • The manager scolded Sam for coming late to the office even though he himself never comes on time. It’s like pot was calling the kettle black. • Tina’s foot got black and blue after she fell down the stairs. 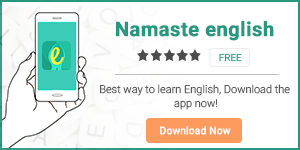 To learn more about the ways to improve your vocabulary, download our apps Namaste English and HinKhoj.